You’ve probably heard the moniker ‘Deep in the Heart of Texas’. I think the ‘heart’ refers to the Texas Hill Country. To me, the Texas Hill Country represents this heart through simple authenticity, beauty in it’s purist form, bounty of multiple kinds, and panoramic views. A big part of me would love to retire deep in the heart of the Texas Hill Country. In the meantime, I’ll take advantage of living close enough to visit often. One of the things I love about Texas is it’s unique wine country. Grapes in Texas have grown naturally for thousands of years. But the ‘new’ Texas wine industry did not begin on a commercial scale until the late 1970’s. My favorite annual tradition that has been going strong for the past 5 years, is the girls Texas wine country trip I take every year with a half dozen gals. Each year we pick out new wineries to experience. We just returned from this year’s trip having visited Hye, Texas. Another favorite is Perissos Vineyard in Burnet, Texas. While it’s a bit of a drive from Austin, it’s well worth it. A gorgeous vineyard and spance of land to walk through, their winery is a beautiful site and the vintage is award winning. In a visit late last year, I accidentally crashed a private wine club event. Unbeknownst to me, midway through I realized it was a ‘by invitation only’ event. I had a wonderful time and rolled with the flow like I was invited! I especially enjoy their whites, but it’s all good. A delightful drive especially on a fall day, you’ll be glad you did. Another well worth the drive, are the wineries near Comfort, Texas. My visit to Singing Water Vineyards was totally random. After having lunch in the town of Comfort, we decided to explore further and head out to Singing Water. It is rustic and beautiful. The setting is just gorgeous. True to it’s name, you’ll hear the wonderful sound that fills the air as the waters of Bruins Creek cascade over the waterfall on the property. I took my puppy on this trip and she sang right along with the band playing.The couple that owns the vineyard have been growing grapes there since 1998 and have a special place in their hear for Veteran’s. They produce a special vintage called Freedom; it’s a premium blend of Syrah, Cabernet Sauvignon, and Merlot that has been aged in oak for 24 months. A portion of the proceeds from the sale of this wine go to the Fisher House Foundation. A perennial favorite of mine is Lubbock’s own McPherson Cellars. I’ve not visited their vineyard yet but I’ve met owner and winemaker Kim McPerhson and enjoy his vintage the most. He has recently partnered with California famed winemaker, Dave Phinney of Orin Swift Cellars in St. Helena, California. 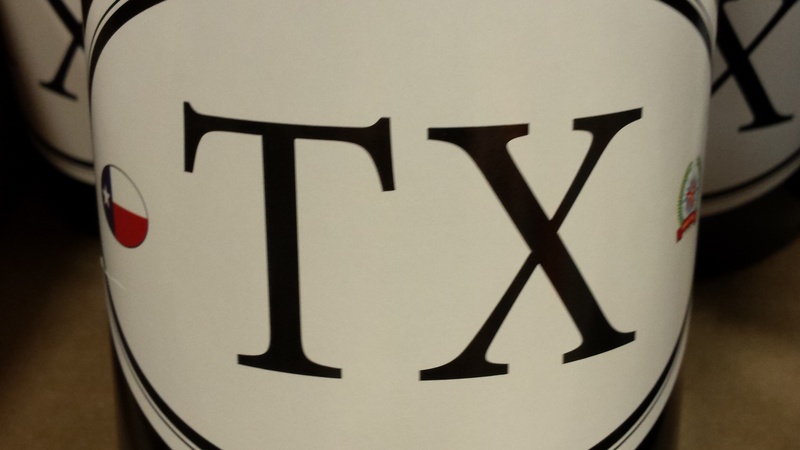 Together they are taking Texas wines to the global market having created a limited edition vintage labeled TX. It’s a Rhône blend—Mourvèdre, Carignan, Cinsaut, Syrah and Grenache—made up of 88% Texas appellation and 12% California Bordeaux reds and Petite Sirah. I splurged and have a bottle ready to try. I’m excited that this is the first Texas wine to be nationally distributed. Cheers to Texas wine!